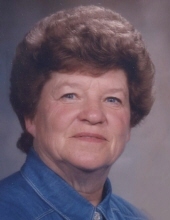 Aurora Utah – Gayle Jackson Johnson age 83 of Aurora Utah, passed away on April 8, 2019 in Gunnison Utah. Gayle was born on June 29, 1935 in Bountiful, Utah to Ralph Moss and Ella Delila Burningham Jackson. She married Bradley Thomas Johnson on June 8, 1953 in the Manti Temple. Gayle’s life was devoted to her family. Gayle moved to Salina at the age of 15 to live with her Aunt and Uncle. She found stability in their home and learned the importance of family. She graduated from North Sevier High School in 1953 and was married a couple of weeks later. Brad and Gayle moved to Cedar City where Brad attended the College of Southern Utah to play baseball while Gayle worked at a bakery. While in Cedar City, she learned some excellent baking skills. She was known for her excellent cooking and loved to cook for her family on any occasion but especially on holidays. She knew how to make things taste great. Gayle was a member of the Church of Jesus Christ of Latter-Day Saints and held numerous callings. Her favorite was working with the youth as a Salina Stake Young Woman’s President. She also worked for 34 years driving school bus for the Sevier School District. She especially enjoyed the field trips because she was able to take her own children to many places for sporting events and music festivals. She loved to get together with friends for light meals and to play cards. Gayle had a lifetime of service to neighbors and family. She will be greatly missed. She is survived by her children: Scott (Carol Lee) Johnson, Aurora, Kristine (Kent) Mickelsen, Aurora, Clint (Tina) Johnson, Aurora and Jodi (Paul) Merrell, Pleasant Grove; 16 Grandchildren and 31 Great-Grandchildren; a brother: Ralph "Mick" and Charlene Jackson of Orem. Gayle is preceded in death by her husband, Bradley Thomas Johnson, her parents and her dear sister Doreen Woffinden. Funeral Services will be held on Saturday April 13, 2019 at 11:00 am at the Aurora 2nd Ward LDS Chapel in Aurora Utah where friends may call for viewing Friday evening April 12, 2019 from 6:00-8:00 pm. or Saturday morning from 9:30 to 10:30 am prior to the services. Burial will be in the Aurora City Cemetery under the care of the Springer Turner Funeral Home of Richfield and Salina, Utah. To send flowers or a remembrance gift to the family of Gayle Jackson Johnson, please visit our Tribute Store. "Email Address" would like to share the life celebration of Gayle Jackson Johnson. Click on the "link" to go to share a favorite memory or leave a condolence message for the family.